What types of social networks are there? Why create a Facebook account for companies? I open my section related to social networks with Facebook, its king. The data of this social network frightens anyone who devotes a minimum of time to analyze them. The giant created by Mark Zuckerberg already has more than 2 billion users worldwide, that is, more than a quarter of the planet has a Facebook account. All large companies have a profile or page in this social network, and in this article I will explain why a Facebook account for companies is necessary. In the following graph we can see the evolution of the 3 main horizontal social networks, calm now I explain, in Spain. It can be seen that although Instagram has a great growth in our country, Facebook continues to be quite advantageous. Vertical social networks: these are characterized by being specialized in a certain activity or topic. There are many vertical social networks, the most famous being Linkedin, the professional social network par excellence. For example, the mascotea social network is geared towards the world of pets, and so on any subject you can imagine. The operation of Facebook is quite simple. It is a social network that connects people with people. At least that’s how it was at the beginning, now it also connects people with brands or companies. In Spain there are more than 20 million users of this social network. That is to say, practically half of the national population has a profile. It seems a good reason to create a facebook account for companies. Here are 6 reasons why you should create a Facebook page for your company. More than 20 million users are waiting for you in Spain, and about 300 million Spanish speakers, here we go! Corporate information: it is essential to indicate all the relevant information about your company. All users can see it with a simple glance, as well as the different ways to get in touch with you. Brand creation: if you want to achieve results on Facebook you will have to do more than have a profile / page. You will have to have conversations with the users and with the influencers. You will have to make yourself noticed. Customer service: there are many people who are too lazy to call a company, and they turn to social networks. A quick response can leave a dissatisfied customer happy, or get a new client. Customer loyalty: related to the previous point. A good management of this social network, with conversations, coupons or advantages, will make your customers appreciate you more. Real and visible opinion of the clients: it is a double-edged sword, since everyone will be able to see the opinions, the good ones, and above all the bad opinions. Try to always respond, and do not leave a bad opinion without an answer, or the problem may worsen. Advertising: it is possible to create more than 10 different types of advertising on Facebook. In addition to this wide variety of options, my experience tells me that advertising on Facebook is very useful and economical. Now that you have reasons to have a Facebook account for companies, I will give you some tips to get the most out of it. Custom URL: once you have created your company page on Facebook, a URL that will not be optimized will automatically be generated. To personalize this URL, you will only have to go to your settings. Cover photo: it’s the first thing that users will see about you, it must be impressive. People should not only recognize your company with it, but also your values. 851 x 315 pixels are the measures indicated by Facebook that this image must fulfill. Next I show the photo of cover of Nike Spain. I think it makes it quite clear what the brand is dedicated to. Profile photo: here you must place your company logo. The dimensions of this photo must be 180 x 180 pixels. 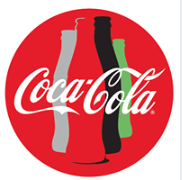 In the following case, coca cola puts its characteristic circular symbol with its letters, and adds an image of all the products of its range. Information section: it is very important to fill in this section with all the information related to the company. There is a preview that appears on the left of your page, make sure that your facebook page reports everything, and correctly! Milestones: milestones are objectives, star products or awards achieved by the company. You can indicate which ones are in your biography. To indicate them you have to go to the “biography” section …. Create a Call To Action: it will appear in the cover photo and you can get leads with this one. For example, if you have an e-commerce, you can add a CTA that is “buy” and take you directly to your online store. In the case of the MyProtein company they have placed a “buy” button. Quality, quality and more quality: do not focus on offering content just because it is good. The algorithm of Facebook is well designed and prioritizes good content for users. Use it as an extension of your blog: with Facebook you can get more visibility for your Blog articles. Do not hesitate to share them! Interaction content: for Facebook a like is worth less than one I love. That is why he tries to create publications so that several options can be pointed out. Remove links from your posts: once you’ve written a link in a post, Facebook will post the image of the landing page and a short summary. This information will not be deleted if you delete the link, and it will be more visual. Multimedia: publications with audiovisual content do not have a higher engagement because they do, but Facebook seems a more quality content. For Facebook the videos are above the photographs. Optimized images: make sure that the measurements of the images are those indicated by Facebook. Since you do not want them to look pixilated. Response level: If you respond in less than 15 minutes to 90% of the messages, Facebook will reward you. It will give you a “high response level to messages” badge. This way all the users will know that you respond quickly, and that your doubt will be resolved quickly. Program your publications: if you do not want a mistake at the last minute, go for it. When you create a publication you can schedule it for the right day. So no last minute problem will condemn you in a vital event. Tools: tools make our lives easier, so I recommend using some tool. In my article on digital marketing tools, you will find several to get the most out of your Facebook account for companies. I trust that with this article you can get more out of your Facebook account for companies. And if you do not have it, I do not know what you are waiting for to create it and take a big step in your business.